The Wella Blondor lightening system is an effective hair bleaching and coloring kit. It can be used to touch up dark roots, lighten an entire head of hair, create streaks or just lighten hair tips for contrast. The Wella Blondor system comes with a reactive bleaching powder and a blonde color, but the grade of lightness is dependent on the developer you use. Developer is actually peroxide and comes in grades ranging from 10 to 40. The higher the developer number, the lighter the hair will become. Fill your scoop with Wella Blondor lightening powder. You will use half a scoop if you are just coloring small portions of hair such as your roots, tips or highlighted areas. Use a full scoop for a head full of hair. Use two scoops for long, plentiful hair. Empty the powder into one side of your color mixing tray. Fill the scoop with an equal amount of developer. Add the developer to the lightening powder. Use your color mixing brush to blend the developer and booster powder together into a smooth, creamy consistency. If the end result is runny, add more booster powder. Part your hair to expose the areas that you want to lighten. Do not scrape your scalp with the comb. Clip away sections of your hair that are not being colored to protect them. If you are coloring your tips, use small clips on each hair section to clearly separate the tips from the rest of the hair. Brush thick coats of your cream application onto the hair to be colored. Watch your hair for visible lightening to take place. If you cover your head with a plastic cap and sit under a dryer, Wella Blondor will stop lightening automatically after 15 minutes. Rinse out the bleach with cold water and allow your hair to air dry. Put your Wella Blondor color base in your scoop. You will use the same amount as used for your brightening developer mix. Empty it into the clean side of your mixing tray. Add an equal amount of developer to your color. Mix them together with a clean brush until the consistency becomes gel-like. The gel should be thick and not runny. Wait 15 to 25 minutes. Rinse it out with warm water. 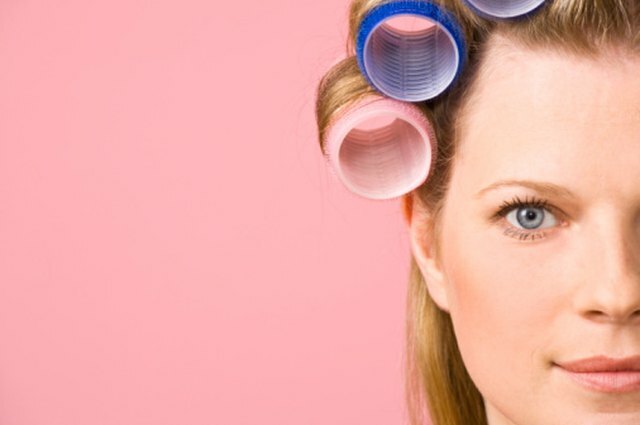 Apply a hair conditioner and rinse it out with cool water after four to five minutes. 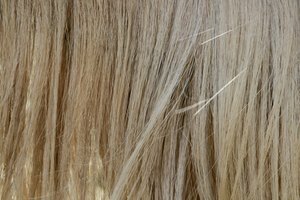 During the bleaching process, your hair will appear even lighter once it is dry. Lightening will differ per person depending on how dark the hair is before you apply Wella Blondor. 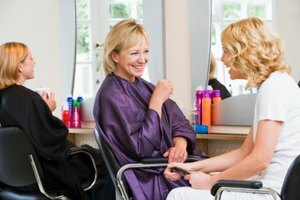 Applying peroxide developer to hair that is already bleached can cause severe hair damage. Wear gloves to protect your hands from caustic chemicals.